Whether you’re an athlete, a recipient of financial aid, a study abroad traveler or a researcher, the philanthropic gifts made by Emmanuel alumni and friends have contributed to your time here. And as soon-to-be alumni, it’s our turn to make those same opportunities available for future students by supporting financial aid and scholarship programs. 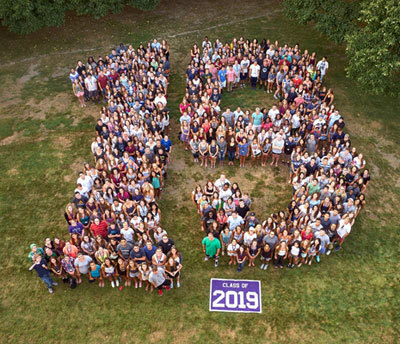 Join in the Class of 2019’s legacy by making a contribution to the senior class gift! The class gift is all about celebrating our senior year! As we move closer towards Commencement, we recognize the impact of professors, coaches, advisors, and alumni who have shaped our Emmanuel experience along the way. By participating in the Class of 2019 Senior Class Gift, we demonstrate our gratitude for the experiences we’ve had at Emmanuel and the memories that will last a lifetime. For more information, contact the Senior Class Gift Committee at scg19@emmanuel.edu. You can make your gift online, connect with a Senior Class Gift Committee member, visit the Office of Development and Alumni Relations (Administration Building, Room 128), or reach out to a member of the Senior Class Gift Committee.